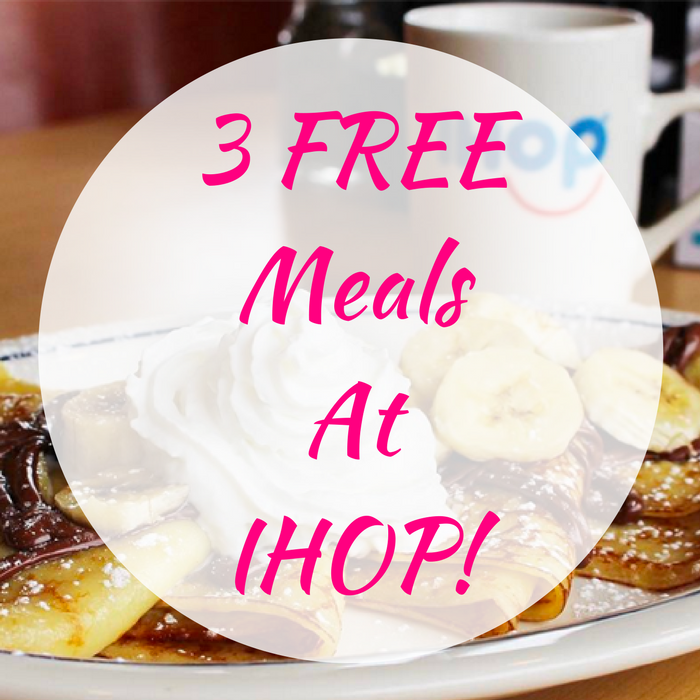 3 FREE Meals At IHOP! You are here: Home / FREEbies / 3 FREE Meals At IHOP! Awesome FREEbie waiting for you! Score 3 FREE Meals at IHOP when you sign up for their FREE Pancake Revolution Club! All you need to do is fill out the short form to subscribe to their emails. You will then get a FREE Meal when you sign up, on your Birthday, and on your 1 Year Anniversary from signing up! Isn’t it awesome?